Scott McMahon, MD, is a Board-certified pediatrician who has practiced for over 25 years in Roswell, New Mexico. His education includes a B.S. in Chemistry from Creighton University, an M.D. from Creighton University School of Medicine and completion of his Pediatric Residency at Duke University Medical Center. He founded Whole World Health Care, a practice devoted to the treatment of inflammatory illness, in 2009. He co-founded FHL Pediatrics, with Kim Hansen, CFNP, in 2014. Dr. McMahon’s philosophy of medicine has always been to “treat each person as he would want to be treated”. Love and respect are the hallmark of his care, regardless of race, creed, gender, socioeconomic class etc. 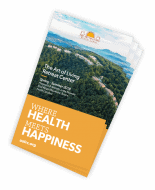 Since 1993, Dr. McMahon has had a number of life-changing spiritual encounters adding new dimensions to his understanding of the human body and the holistic practice of medicine. Teaching has always been a love and Dr. McMahon has taught medically minded students at every level from middle school to residents. 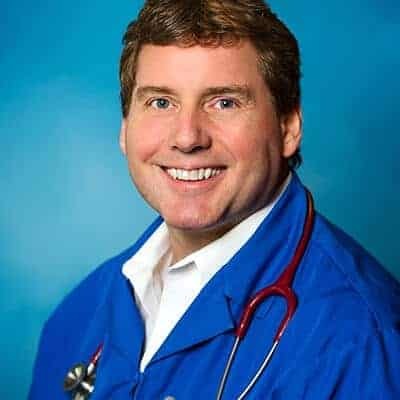 He currently trains Respiratory Therapy and Physician’s Assistant students and has also educated numerous Nurse Practitioner, ENT, Paramedic and Medical Students. He has spoken to professional societies on a number of different pediatric topics and Chronic Inflammatory Response Syndrome (CIRS). He mentors providers around the country in the diagnosis and treatment of CIRS. Dr. McMahon’s medical interests have been diverse. He founded and operated a pediatric asthma clinic specializing in improving the care and outcomes of his city’s worst asthmatics. He has practiced Travel Medicine for nearly 20 years. His focus has always been holistic – healing the body, soul and spirit. For the past 8 years, he has been treating adults and children from around the country for “mold illness”, a.k.a., CIRS. Dr. McMahon has authored several CIRS articles, spoken at international meetings about CIRS, and been involved in a number of court cases as a CIRS expert witness and treating physician. He is recognized as the world’s first certified practitioner in the diagnosis and treatment of CIRS. Outside medicine, Dr. McMahon has pastored a church, worked as a missionary, authored 2 books, a counselor, a visionary and a philosopher. He is the co-founder, with his Nigerian wife, Mary, of The Joseph Foundation Inc., and serves as the father of eight wonderful children. The latter is a non-profit organization seeking to change lives in America and overseas, by building schools, hospitals and orphanages. In addition, the Foundation seeks to empower disenfranchised people to own businesses, employing their gifts and talents in locales where there is no such opportunity. Funds from investments are then returned to ministry. Ministry supports businesses, businesses support ministry.